I knew it…all this time, Lelo-err…Asuka was the real main character. Who else could it be? 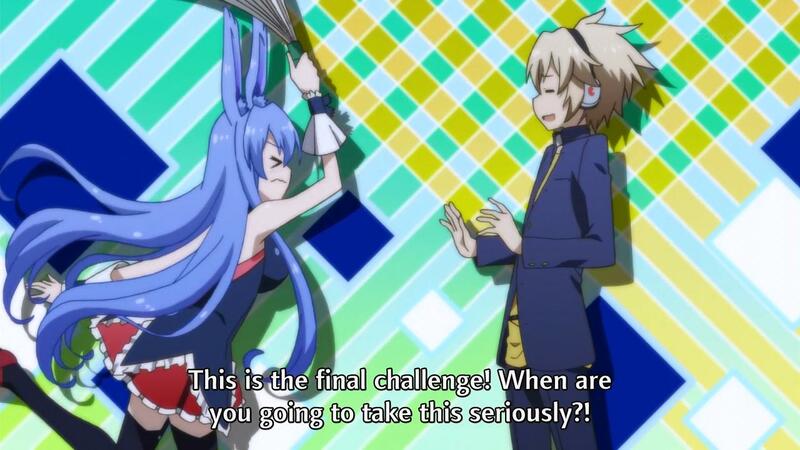 Izayoi is far too powerful and You never has the chance to do anything. 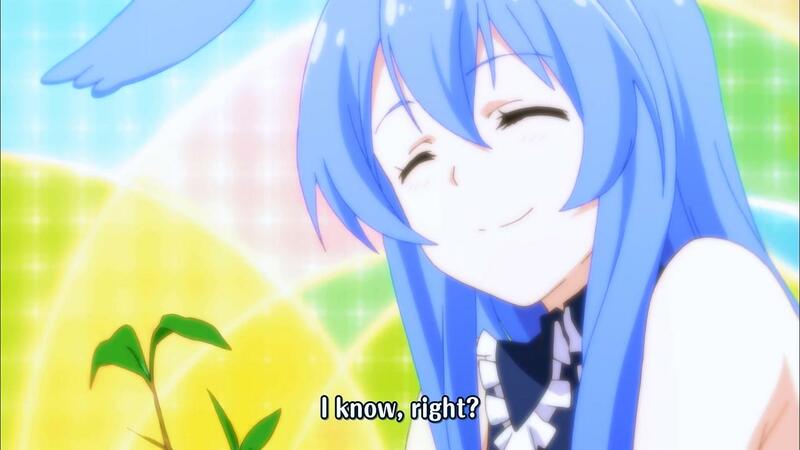 Someone like Izayoi is better supporting from the shadows…leave the protagonist spotlight to Asuka. She even has a Knightmare after all…right? So the demon lord is defeated…though she was still small fry. Plenty of other demon lords to fight. But the show’s over…it wasn’t too bad. 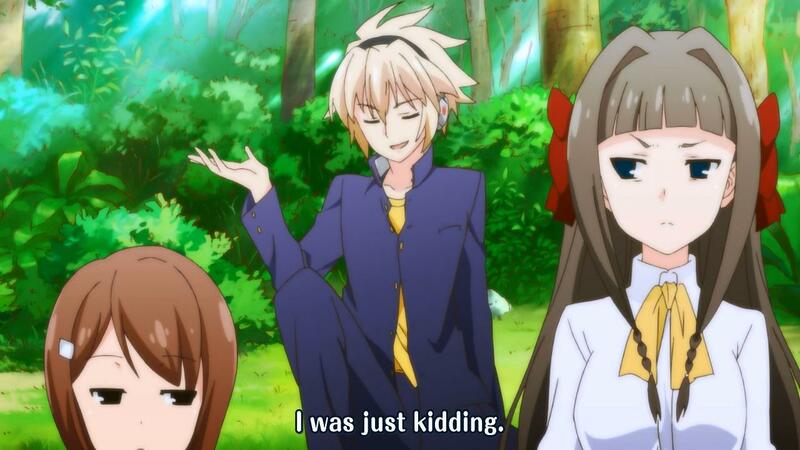 Izayoi may have been a tad too all-knowing and overpowered, but it works I guess. The ending of the show is basically what you would expect. A show this short would never have a true resolution…just everyone being happy getting ready for the next challenge. Don’t worry, guys. Asuka has unlocked the Gundam…so we should be fine. The final game against the Demon Lord begins. 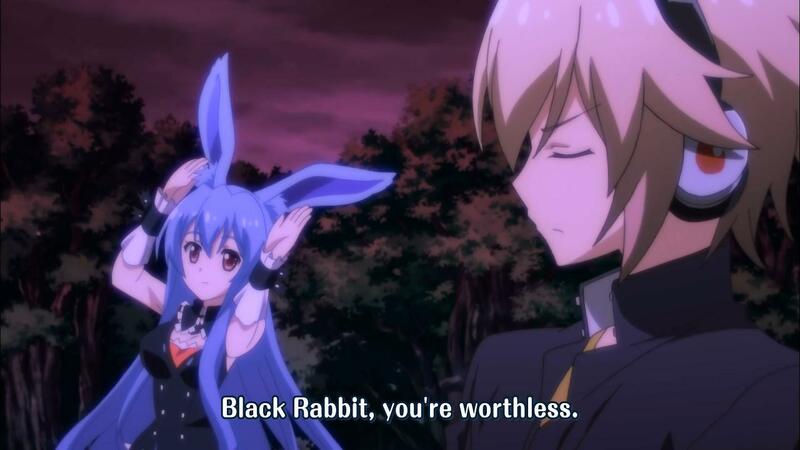 Izayoi proves his perception once again by basically figuring everything out on the spot. But it looks like he might actually have met his match in the game against this guy with divine powers. So the fight against the Demon Lord has finally begun. Based on the time left in the series, this has to be the last remaining arc in the show. It looks like everyone has split themselves off…You finds herself fairly useless again being incapacitated by the Piper. Will she return to do something useful? She doesn’t really get to help much, it seems. 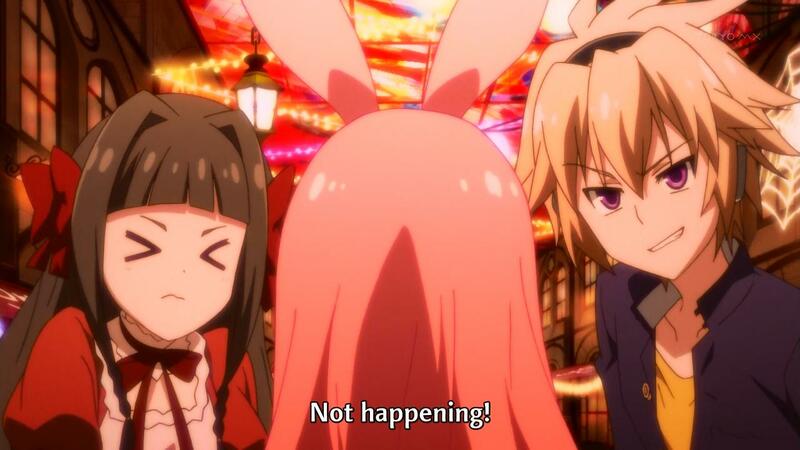 Dunno what to make of Izayoi’s fight…will it be easy or will he have some troubles? Asuka’s fight will likely be the hardest…so far, she seems to be the weakest of the group. I’m assuming she’ll get some surprise help from that fairy or something to turn the battle into her favor. And now we fight a real Demon Lord…should be fun. But based on what we’ve seen, is it really just a lord over rats? That’s kinda lame. I guess they can’t all be vampires. I was expecting the more cliched werewolf to appear. Will You be the one fighting the Demon Lord if it comes? It’s her tournament match after all. So what’s going on with the fairy? Of course there’s the link with Rattenfanger, but what is the nature of it? She was shouting out the name at the exhibit, so did she just piss someone off that was listening? Or is there something more malicious going on? 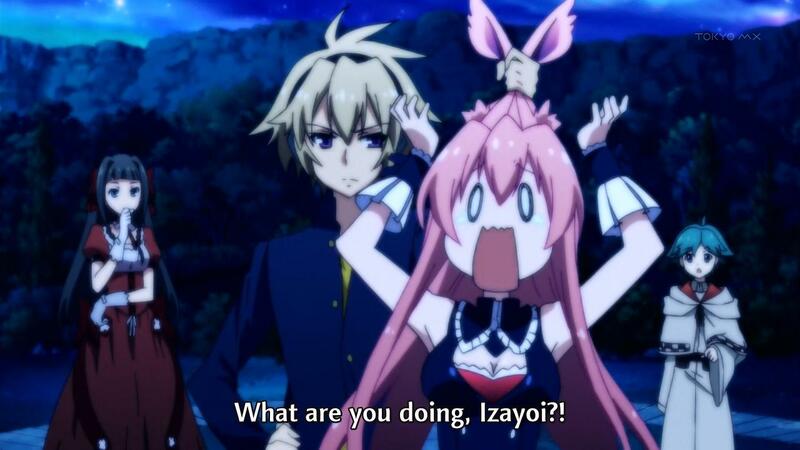 Izayoi…I’m not convinced you were trying…doesn’t really matter, though. 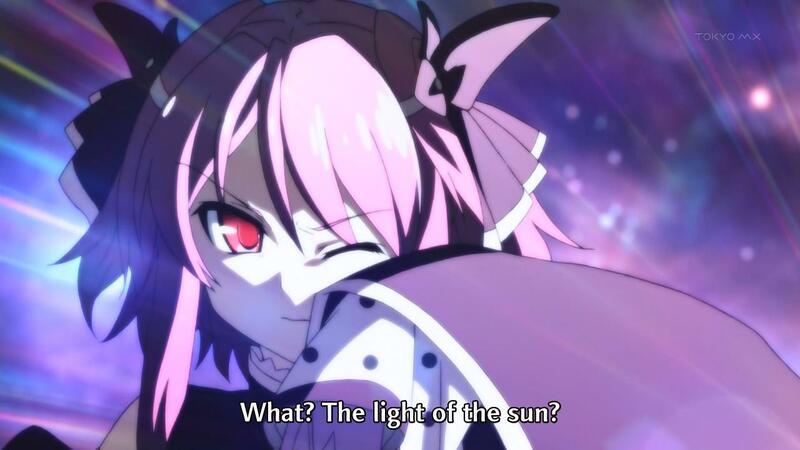 All the power in the world means nothing if Kurousagi can’t use it for anything useful. Looks like You managed to get herself removed from the situation again…got her own business to take care of, it seems. So if the two tied…what happens next? Has that whole thing with the festival been completely interrupted by the arrival of the police? My vote is for war in the Northern land…just fight everyone there. But more than likely, they’ll be thrown in with this new Northern Master somehow. Anyway…turning Leticia into a maid…kinda random. Is she not going to fight? To be fair, there’s no need when you can just make Izayoi do everything, but come on…a maid? Seriously, though…there has to be a limit, right? To his power…five more episodes of him powering his way through everything can’t be all that interesting. I wonder what happens next…I assume a much stronger community will take notice? Wait…Leticia is actually an ally? And now they have to save her. There I was thinking that Kurousagi wanting to accept the proposal to trade for Leticia was going to be important…turns out Izayoi just bypasses it. This guy…is way too powerful. We saw the limitations of Asuka’s gift in this episode, but Izayoi is just too ridiculous (Kurousagi turns out to be useless as usual). So they’ve challenged Perseus to a duel. 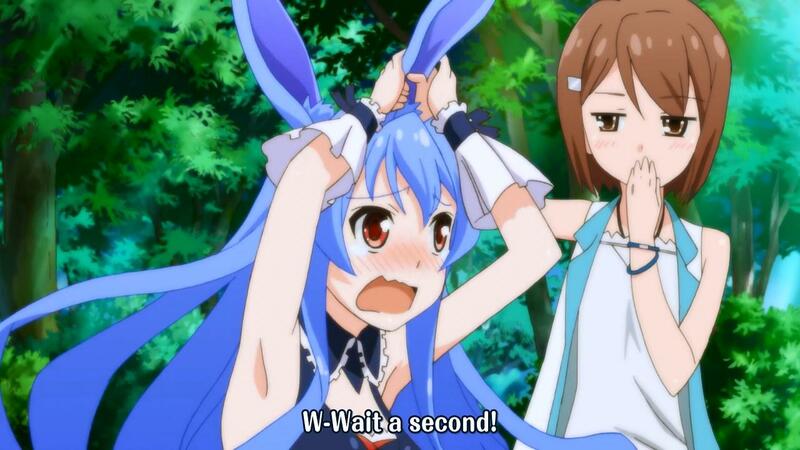 Based on what we’ve seen so far, Izayoi should be able to wipe them out in seconds. But that’s not how he operates, is it? I’m starting to think his gift is simply “god mod”. So…what’s going to happen next week, which is apparently the halfway point in the show? 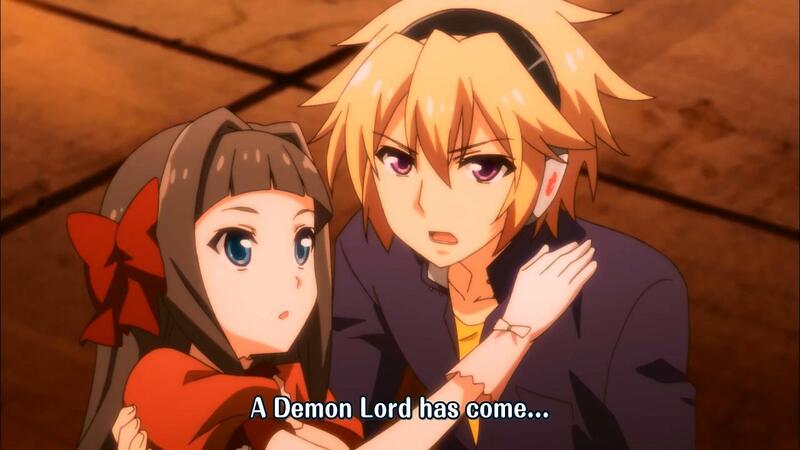 And so it begins…Izayoi’s battle against the Demon Lords…you know, with other people helping out. Well, I guess this week was showcase for Asuka’s powers. I’m surprised they’re still incomplete…they seemed powerful enough as it was before…now they just seem ridiculous and limitless. She can still be silenced…if the series were longer, I’d say she would find a way to surpass that too, but I dunno. Hah…this show is quite interesting indeed. These three all possess such ridiculous powers…I don’t actually understand how they’re supposed to lose. I suppose there are the obvious weak points in that Asuka could be silenced (she doesn’t seem to have a use limit like Lelouch) and You could lose her pendant (although if her power is stored in the card, then that might help with that). It looks like superhuman physical abilities is not the limit of Izayoi’s power, though…the unknown label on his card suggests that he has a wild-card ability. I would have guessed copying other powers (like Peter from Heroes if anyone watched that), but I feel that’s too similar to You’s power. So this show turned out to be more interesting than I expected. 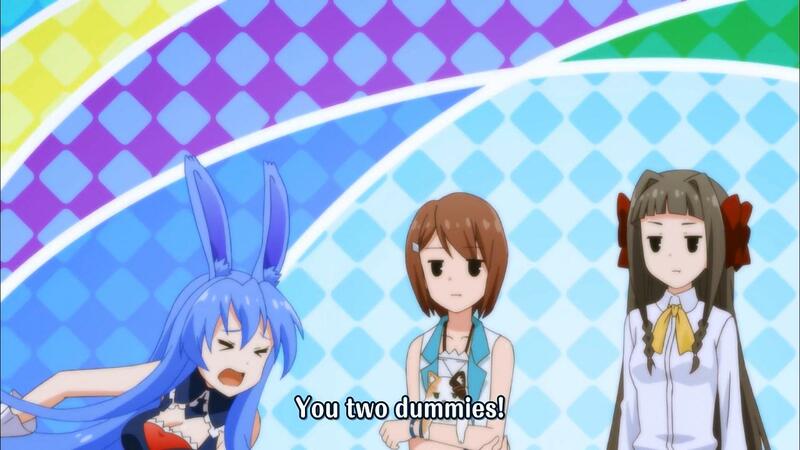 Basically, the three main characters Izayoi Sakamaki, Asuka Kudou, and You Kasugabe are brought to a different world to participate in some sort of games. Supposedly this is to entertain their otherwise boring lives…but surely there must be something darker going on in the background, right? That’s what I’m hoping for, because if so, then this show has the potential to be very interesting. Looks like it has something to do with fighting between communities or something. 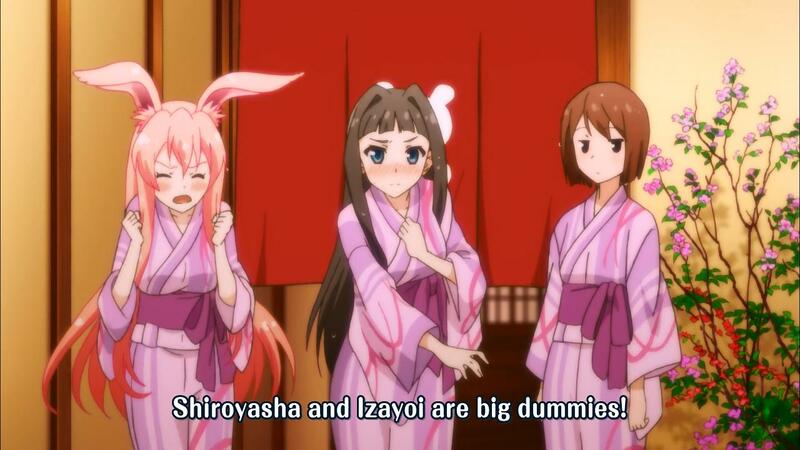 It looks like Izayoi has caught on as well…he’s asking the right questions. He’s a pretty cool character. His power is some form of physical self-augmentation, but he’s perceptive and confident (I prefer protagonists like that). Asuka’s power…looks strangely familiar. She seems to be able to have absolute command that’s not restricted to humans. And You has the most boring power to me of talking to animals. I guess I’m more curious about the limitations of their powers than their strengths…but we don’t really know much about those yet. Either way, it’s an interesting start and I look forward to seeing how it goes dark.